Yesterday was nuts! The Grand Theft Velo III race was pretty kick a$$ despite the chilly, misty weather. 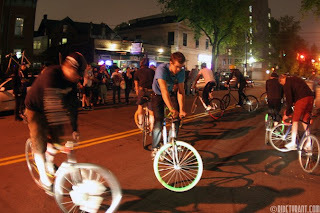 The whole fixed gear community is rad...and fast as hell on their bikes! Head over to the Scorchers Blog for a full recap.